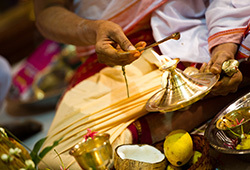 The first full Moon of the Vedic New Year (Tamil month Chitra), is known as Chitra Purnima- a very auspicious day for erasing old karma and new beginnings for creation and manifestation. Astronomically, Chitra Purnima is celebrated when the Sun is exalted in the sign Aries and the Moon is in the bright star named Chitra in the constellation of Libra. According to the sacred text Padma Purana, there is a divine accountant or bookkeeper named Chitragupta. 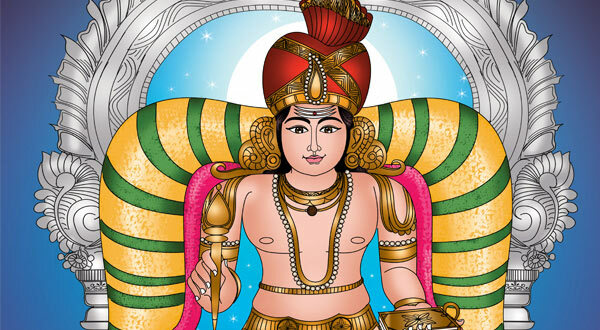 Chitragupta is the lieutenant of the God of justice and dharma, Yama. He maintains the good and bad records of everyone on earth in a heavenly database known as the ‘Akashic Records’, which is your divine personal logbook. The Full Moon of Chitra Purnima is the perfect day to appease Chitragupta. 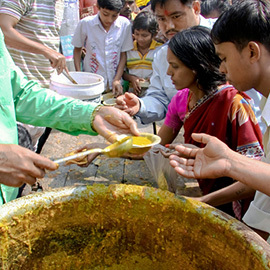 It is believed that Invoking Chitragupta’s blessings and feeding the poor and needy can help erase the negative karma in your Akashic records. According to sacred texts, once Yama, the lord of justice and death felt overburdened with his work and prayed to Lord Shiva that he needed a lieutenant. Accordingly, Chitragupta was created on the full Moon of the month Chitra (mid-April to mid-May), who became the lieutenant of the lord of justice (dharma). 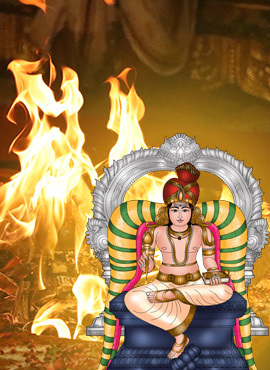 Hence, Chitra Purnima is the ideal, auspicious day to access the energies of Chitragupta on his birthday. We have to build trust in Chitragupta and the divine act he can do for you on this very special day, which only happens once a year. 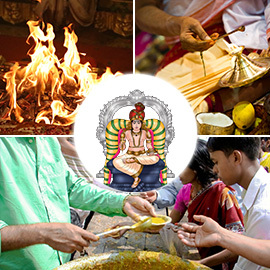 Participating in Chitragupta Fire Lab on Chitra Purnima, his birthday can bring positive blessings of the Akashic record-keeper to erase the ‘bad’ karma and mark up your ‘good’ karma and to bless you to be able to maintain that good karma. The eternal record book of our good and bad actions called ‘Akashic Records’ are hidden karmic seeds that create an inner image in our minds that compels us to be who we are. 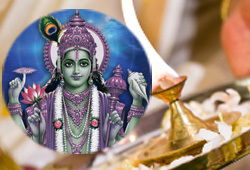 On Chitra Purnima, the birthday of Chitragupta, we can make changes to the seed image by appealing to Chitragupta to erase karmic mistakes from this life and past lives. The first full Moon of the Vedic New Year (Tamil month Chitra), is known as Chitra Purnima- a very auspicious day for erasing old karma and new beginnings for creation and manifestation. 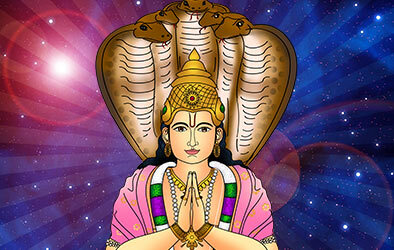 Participate in our Chitra Purnima essential package to invoke Chitragupta’s blessings and erase your negative karma in your Akashic records. 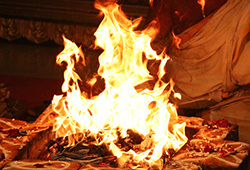 You will receive the sacred grey ash powder from the Fire Lab and Vibhuti (grey ash powder), which will be blessed in the rituals. Keep this on your meditation altar and wear it on your forehead during meditation or at other times to expand the Divine blessings into your life. The first full Moon of the Vedic New Year (Tamil month Chitra), is known as Chitra Purnima- a very auspicious day for erasing old karma and new beginnings for creation and manifestation. Participate in our Chitra Purnima enhanced package to invoke Chitragupta’s blessings and erase your negative karma in your Akashic records. The first full Moon of the Vedic New Year (Tamil month Chitra), is known as Chitra Purnima- a very auspicious day for erasing old karma and new beginnings for creation and manifestation. 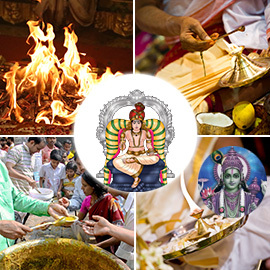 Participate in our Chitra Purnima elite package to invoke Chitragupta’s blessings and erase your negative karma in your Akashic records. 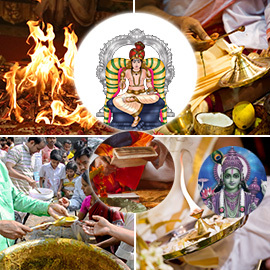 Book your individual Chitragupta Fire Lab on Chitra Purnima day which is considered the birthday of Chitragupta, the lieutenant of the God of justice and dharma. 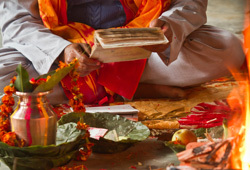 Invoking Chitragupta, the bookkeeper of your Karmic records, in an individual fire ritual on your behalf can help you reduce your negative karmic balance. Your sincere prayer to him on this day can help you erase both known and unknown karmas. 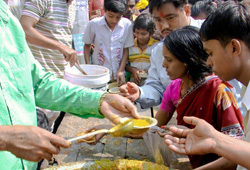 As per scriptures, donating food to people frees you from problems and provides success in all walks of life. As you become part of the food feeding services to people, you will attract positive energy, peace of mind and gain divine blessings.